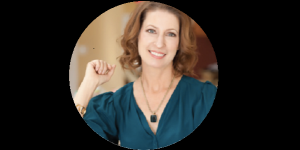 Marian Rothschild is a Certified Personal Image Consultant, founder and president of Look Good Now. A former actress, dancer, and model, Marian has worked in commercials, theatre, ballet, and film with such names as Robert Conrad, John Mahoney, and Shelley Winters. Marian earned full certification through the Association of Image Consultants International which is the highest standard of credibility in the image industry. Marian attended Northern and Western Ill. Universities, and received image training through AICI, the industry’s foremost experts. Marian is a dog owner, organic gardener, and avid athlete in a quest to lead a healthy, balanced, and joyful life. 1. Tell us about Look Good Now Image Consulting and what prompted you to establish it? Marian: My image consulting business is actually the culmination of everything I had ever done previously in my life. I grew up the middle child, “the creative one” in a modest means family. In junior high, I quickly learned that a friendly, outgoing personality and cute clothes were the recipe for popularity. I wanted that, but I didn’t have the clothes. So I begged and borrowed wardrobe and accessories from friends and both of my sisters to create all sorts of outfits that looked different, but were actually from the same six garments. In high school, my oldest sister, Kathy, taught me how to apply makeup and roll my hair in curlers, which I found very useful. In college, I majored in theatre and then in my 20’s, performed in professional productions; plays, commercials, and ballet, mostly in Chicago. From that experience, I learned that actors change their hair, makeup, clothes, posture, and voice depending on the character they are playing. Then, the audience sees them as the character when they make an entrance, rather than as the actor. In life, professional men and women make a lot of entrances; into the interview, the conference room, the board room, the networking event. For each of those events, we can style ourselves and therefore brand ourselves on the outside, how we want the world to see us, as a representation of our genuine self on the inside. That’s what I teach professionals; to have a polished presence with exquisite intention for a confident leadership image. I coach the A, B, C’s of image; appearance, body language, and communication with purpose, direction, and consistency. Marian: Every day starts with some fruit and two cups of coffee, with half and half. I drink it while I check my email for an hour or so. Then I hit the gym. I attend a huge variety of classes during the week; cardio strength, total body boot camp, indoor cycle, yoga and pilates. I mix it up. Then it’s back home for a healthy brunch and shower. I might have to go to a client’s home for a Color, Style, and Wardrobe Consultation, or a makeup lesson, or do some personal shopping for them and then with a client at one of the major malls in the Denver area. Or I might have to stay home and work on a presentation or workshop, getting it ready to present. There’s a ton of emails and phone calls, maybe a radio interview about my book, or a press release to get out. I’m in contact with my intern regarding distribution and sales of my book. And work on a PowerPoint, article or newsletter. There’s always 99 things that need to be done, of course. I try to answer emails the same day, if they require a personal response. I’ll go to networking events once or twice a week. And every so often, I get cast in a commercial or photo shoot from my agent. Yes, I still do some acting. Dinnertime with my family is sacred. I really value that. I cook probably five nights a week, have dinner with my husband at least five nights a week; sometimes our grown son will join us. We love that. Marian: Of course Word, PowerPoint, Grab for screen saving, Address book, and IPhoto. I’m old school when it comes to my calendar; I use the old fashioned kind. But it’s pretty and in my brand color; aqua. I love my Garmin GPS for getting to client’s homes and businesses. Marian: Gosh – make time for what you value most. That’s your priority. Fill in with the rest. Marian: Do the absolute best you possibly can. Get help, don’t do it all yourself; no one can do that. Get help from the best people you can afford. 6. Given the current economic climate, what has been your strategy for building awareness of Look Good Now Image Consulting (what do you do for short term and long term growth)?? Marian: Social media, monthly newsletters, networking events all help get my name, face, and message out there. Having a “best-selling” book is huge of course. That took a lot of time and energy. I asked for help wherever I found smart people willing to lend a minute of their valuable time. I so appreciate and respect that. And I’m always working on my presentations, website, and workshops. 7. What is your proudest achievement as an accomplished professional? Marian: Two things- my “best selling” book, “Look Good Now and Always: a do-it-yourself style makeover for busy women” and my happy marriage to a wonderful guy who I would marry all over again if we hadn’t done it 32 years ago. Marian: Prioritizing life values and dedicating time to health, well-being, family, business, home, friends. Look Good Now and Always by Marian Rothschild. Marian: My smart, dedicated, supportive husband and my wonderful mentor; she’s a super fun amazingly successful British image consultant named Sarah Brummitt. 12. What is your advice for someone interested in starting a business? Do the best job you can. Don’t sacrifice your marriage or family; learn to balance. Don’t sacrifice your physical or mental health. Do what you love and what seems to come naturally. Be grateful, smart, and friendly; you never know who or what will be around the next corner. Share with others. Give back.